Stripes bring many options to help jazz up homes because the possibilities are endless when decorating with stripes. Those parallel lines really can show off a home’s style. For example, if you want more drama, add bold colors. The wide stripes mixed with contrasting colors can really stand out in a good way. If you want more of a playful vibe, go with thin multicolored stripes. It adds fun and excitement to the room. Want to add harmony to a busy space? 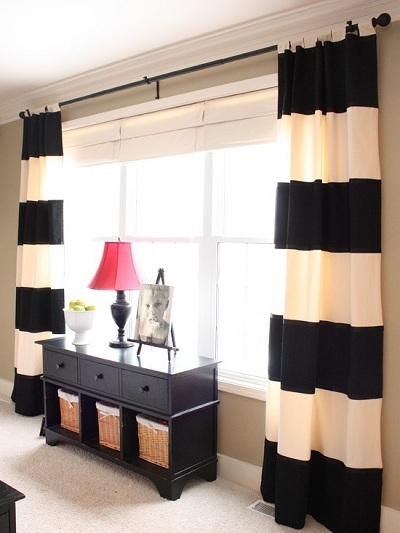 Stripes will help the colors compliment other décor in the room. 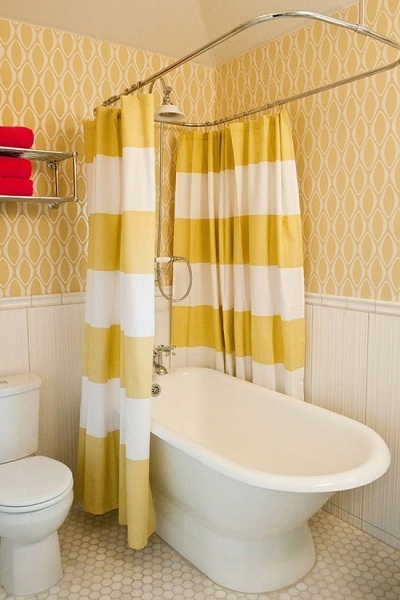 Every room in your home could benefit from decorating with stripes. Anywhere is fair game from curtains, rugs, walls…you name it. Subtle colored stripes can add an elegant twist to the room. If you want a more modern twist, add an accent chair filled with stripes. Stripes can go either formal or casual. It’s a perfect pattern for a bedspread. Actually, even a better tip is to have a solid color bedspread with a striped bed skirt. But don’t forget about accent pillows! They can do wonders to a room or bed for little money. One of the best things about stripes is they create illusions that change looks and size of your room through the horizontal and vertical stripes. So if you feel like the room looks a bit small, paint horizontal stripes on the wall. Below shows a sneak peak of what can be found via Pinterest.